Buying used items are a great way to save money. If you search hard enough, then you can usually find the exact or nearly the same item that you want as if you were buying new. There are many things to think about before you buy a used item though, such as if there is the likelihood that bacteria can transfer, or if the item can break on you and harm you or the people in your family. I like to search thrift stores and “boutiques” for used items. At thrift stores, the prices are usually extremely cheap, and at boutiques I can usually find more recent items at great prices. Searching for items that you need first at a thrift store is a great way to save money. You also might find other great things that you need or want. If you’re looking for cheap furniture, then used pieces are great for this. You can either take the items as-is, or remodel them by reupholstering the furniture or painting it a better color. Sites such as Craigslist are great for this. Buy used textbooks if you can, and if you want to further save money, then don’t buy these from the bookstore. 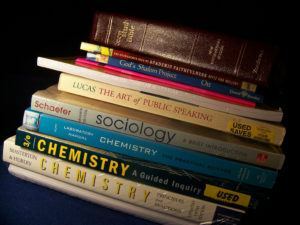 I would always search used textbook websites and would nearly always save at least 75% over what the college bookstore would sell the same exact textbooks for. If you can manage to wait for new movies to be preowned, then do so! Usually used movies are only around $5, whereas brand new movies might cost you between $20 to $40. I can sometimes even find used movies for just $2 at the local movie store near me. That is much better than paying full-price! Humans sweat an insane amount of bodily fluids (hopefully I didn’t gross you out when I said that) and all of it just soaks into the mattress. There might also be bedbugs on the mattress which can cost thousands to be removed if they infest your house. If price is a problem for you, usually you can find cheaper mattresses that are on sales. Search around until you find the best price. It seems like there is always a recall on cribs and car seats for children. It’s better to be safe and not buy one used because you don’t know what has happened to it, if it has broken in the past and so on. If a car seat has been in a car accident before, then they might not protect your child in the future. This is something that I noticed is debatable by some people. Some believe that once the item is washed, that it is clean. However, I’d rather spring for the few extra dollars and get a brand new swimsuit because a used swimsuit can carry various bacterias. What items do you buy used? What items do you only buy new? If everyone starts thinking like you and me about used things they can support a lot their National Expenses and revenues. I buy a used car 3 years ago and I am still driving it. Excellent point about clothes at thrift shops. This year for Christmas we went to the Goodwill stores and bought our 7 year old daughter 5 party / prom dresses for petite girls. We spent $28. They were kinda big for her but she LOVED this gift and has been playing “Dress Up” for days! !